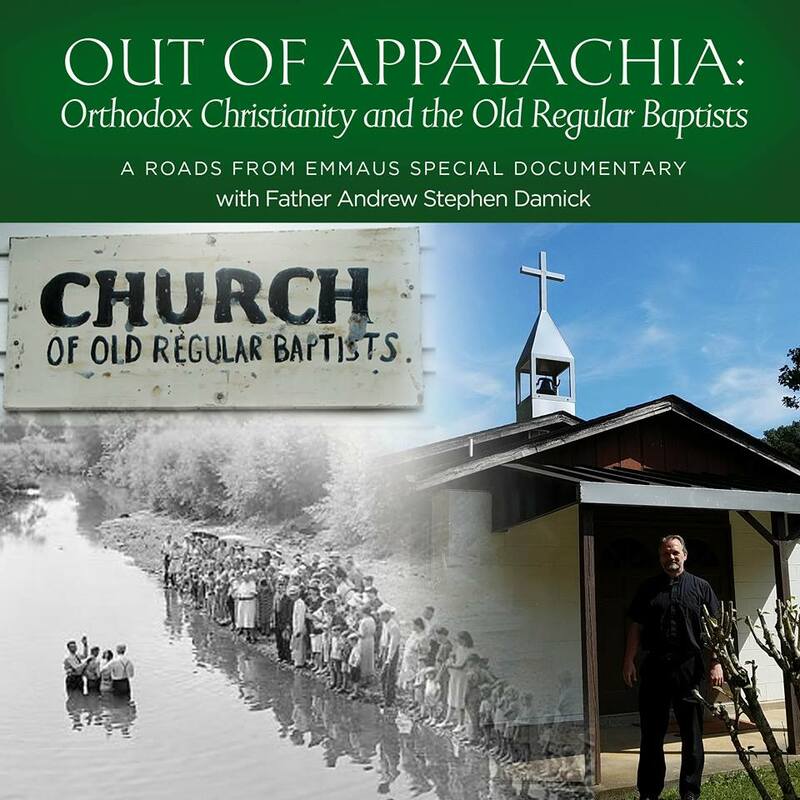 We in the Antiochian Orthodox Christian Archdiocese of North America come now to a historic moment, one that has not been seen for nearly half a century. That may sound a bit melodramatic, especially considering that we are really only a small community, both when compared with the rest of our country and especially when compared with the Orthodox world in general. But it is nevertheless historic for us, and there are many parties outside our archdiocese who are interested in what is happening for us right now. In this final post in this series before our special nominating convention which will take place in just a few days, I’d like to focus on what my hopes are for our future specifically in terms of one central theme: spiritual renewal. Popular piety, like the piety of other Mediterranean Christians, is profoundly ritualistic. Service books and diverse manuals of devotion put the allegorical and spiritual meaning of the Liturgy into relief, but the psychology of the ordinary Christian remains dominated by the sensual and aesthetic aspect of the Offices. The great majority of the faithful do not penetrate in any way into the spiritual significance of the rite. They often bring with them authentic private piety, but a sense of the liturgical community and of the bond between the individual person and the praying assembly is rarely consciously experienced by the majority of the faithful. How many of us have seen this same thing in our own parishes? The great majority of the faithful—and I do mean here the faithful, and not the nominal, who bear the name of Orthodoxy but have little to do with church life—do not really relate to the worship of the Church in a genuinely engaged and personal way. The chanting is beautiful, the sermon is inspiring, the iconography is beautiful, the feeling is moving, etc., but the theological and spiritual character of the Church’s services and inner life is largely absent from most of the faithful’s experience. Such devolution of church life is not, I think, anyone’s conscious decision but rather the result of what one might call a kind of spiritual entropy, the gradual decay that comes when a community is not watered with the blood of martyrdom, whether literal or figurative. So what is needed is a new martyrdom. Christianity is the only faith whose central act is the martyrdom of its God. And since we humans become like whatever we worship, we Christians are all becoming martyrs, “witnesses” to the death, resurrection and ascension of Jesus Christ. And since we in the Antiochian Archdiocese find ourselves in a place where we can assess where we have been and where we are going, it seems to me that now is the time to ask ourselves what that martyrdom will look like, how we can be renewed. As I’ve been able to find relevant translated materials (which are not extensive), I have lately been exploring some of the lessons of renewal that can be learned from the Orthodox Youth Movement—which still exists, by the way, and even has its own ongoing internal conversation about “a renewal of the renewal,” since it is now some 72 years old. It had many effects in church life in the Middle East, most of which are almost entirely positive. As I noted in my first post in this series on the American Antiochian future, it resulted in a marked increase in religious education, monastic vocation, asceticism, more vigorous parish life, etc. That is a lot to contemplate all at once, but from the words of Metropolitan Georges above, the real emphasis of the Movement that is its genius is a sense of personal engagement with the life and spirituality of the Church’s tradition. One has to begin there before one can contemplate too deeply questions of larger structural changes. We can build all kinds of institutions and programs, but if there is not underlying them the character of genuine Christian love for Christ and one another and a theological revival in every sense, they will be like the “fast of demons,” which is strong and undeniable yet not vivified by faith. The full list of every person associated with the parish has been divided up into parts and distributed to members of the Fellowship of St. John the Divine for daily prayer. Every person in the parish will be prayed for every day. Once a month, the Fellowship will come together, not for a business meeting or for a class, but for a time of intercessory prayer and one other spiritual practice. The latter may include: a brief meditation on a scriptural or patristic quote, saying the Jesus Prayer together (probably with one person saying it out loud; this is a practice of some Athonite sketes) or reading the Psalms out loud to one another. We need spiritual renewal, both individually and corporately. It is not that the faithful are unfaithful, but perhaps they have never been taught about this kind of personal engagement with the depths of Orthodox tradition. Perhaps they have never seen what it looks like. So we are going to be doing some of those things at St. Paul’s in Emmaus, Pennsylvania. So where does this leave the question of where we as an archdiocese are going, especially in terms of our new Metropolitan Archbishop? If he were to ask me what I would like to see to initiate spiritual renewal for all of us, what would I say? An emphasis on monasticism: Not only will this provide a deeper “bench” for episcopal candidates (it’s not very deep at the moment), but monasticism provides a living and radical witness to all the faithful of what personal engagement with the faith can be like. Opening the lines of communication to Antioch: I’ve written before (here and here) about why we—and all Orthodox Christians in America—need access to the spiritual riches of Orthodoxy in the Middle East. We need to hear from them, and they need to hear from us. There needs to be more translation going on, more media, more connection across the Atlantic. So, that’s my “wishlist.” I have no idea who our next Metropolitan might be. Especially from what I have seen of the Patriarch and the Holy Synod of Antioch, I trust them to elect the man whom God has in mind. And my hope for our nominating convention this week is not just that we would vote, wanting this man or that, but that we would be gathering in a churchly manner, the royal priesthood of God, aware spiritually of one another, connecting spiritually to one another, and uniting our prayers for inspiration from the Holy Spirit to move in all of us in a new and beautiful way.